Can I rent just the facilities? Yes, the prices are listed at the bottom of our Packages Page. What is included when I just rent the facilities? We set up and take down the tables and chairs for the reception area. If you rent the ceremony site, we set up and take down the Arch, aisle runner and chairs. What is included in the Inclusive Packages? Besides what we include in the facilities pricing, we include many amenities to insure your wedding is great. 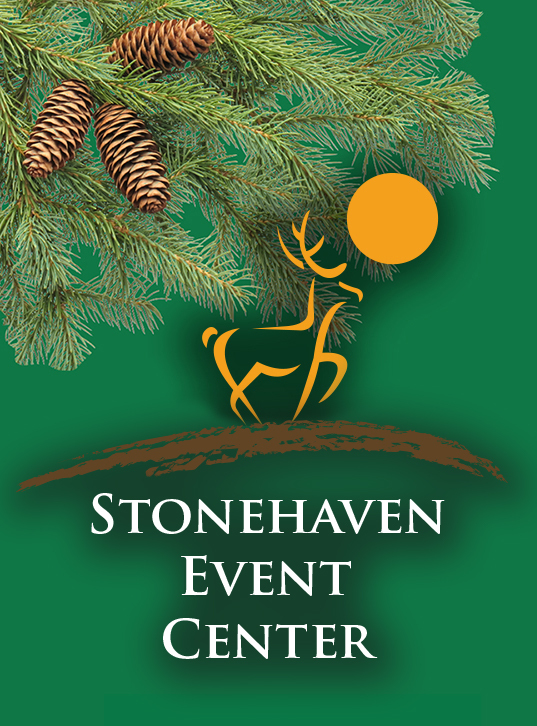 Stonehaven provides the following: linen table cloths and napkins, ice water dispensers, a coordintor for your vendors, 2 hours to decorate the day before your wedding and an on-site rehearsal on the day before. Every package includes the cake, the caterer, the DJ and the photographer. These are top quality vendors that have discounted their normal prices to be in our packages. The Exquisite package includes chair covers and sashes and video. Can I customize the Inclusive Packages? Yes! If you decide you don't want to use one of our vendors, we will take that vendor out and reduce the price of the package accordingly. What is the total amount of guests you can host? What it the amount of time we are allowed? We allow 12 hours of continuous time on the day of your wedding. We request you serve only beer, wine and champagne. Our policy is that you bring your own and serve your own alcohol but we have recommended TIPS certified bartenders that can do that service for you. Can I decorate the facilities? Yes, most couples place centerpieces on the tables and decorate the arch and fireplace. We do have a few restrictions though. We can provide you a list when your take a tour. Yes, we require that all personal items such as decorations be removed from the property by the end of your allotted time, and all trash, especially food and drink be put in trash bags and put in our dumpster out back. Do you offer upgrades or provide a list of recommended vendors? Yes, we have a number of upgrade options that will further enhance your wedding. We also have a list of recommended vendors the we provide for you when you take a tour. Do you offer midweek (Mon-Thur) and off-season discounts? Yes, please check with us if your event falls into that category.